Situated in London, this holiday home is set 1.9 km from Emirates Stadium. The holiday home is 2 km from Camden Market. Free WiFi is offered throughout the property. The kitchen is fitted with a dishwasher and an oven. A TV is provided. 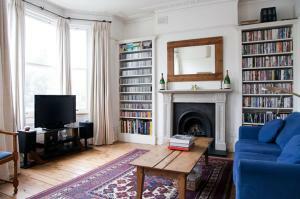 See all House Tufnell Park Road - Islington reviews..